On Friday, former Detroit Lions and Hall of Fame defensive back Lem Barney spoke at the Sound Mind Sound Body Football Academy. Barney is one of many former NFL players currently trying to sue the NFL over how the league had handled head injuries in the past. It was Barney's remarks on football's future that drew big headlines. "The game is becoming more deadly today," Barney said, via ESPN.com. "It's a great game. I think it's the greatest game if you like gladiators. It's the greatest game for yesteryear's gladiators. But I can see in the next 10 to maybe 20 years, society will alleviate football altogether." 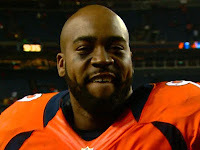 Also at the event was Denver Broncos defensive tackle Kevin Vickerson, who started 14 games last season. Vickerson did not necessarily endorse Barney's remarks, but he did stress the importance of correct tackling. "They're trying to make the game safer, but it's a gladiators' sport and there's only so much safety you can bring to it," Vickerson said. "The best thing we can do is give these kids tools to learn how to tackle the right way." Vickerson couldn't be more right. But it has to start at the top; "kids" will emulate the players they watch on TV—simply telling kids to use proper form is not enough, but setting the example is a good start. Across the NFL, tackling has become a lost art—especially in the secondary. Wrapping up is unhip and ducking the head for a tackle has become the norm. Coaches need to stress that bringing the ball carrier down with a sure-tackle is a better option than aiming for the big hit. Additionally, lowering your head is never a safe or smart move. 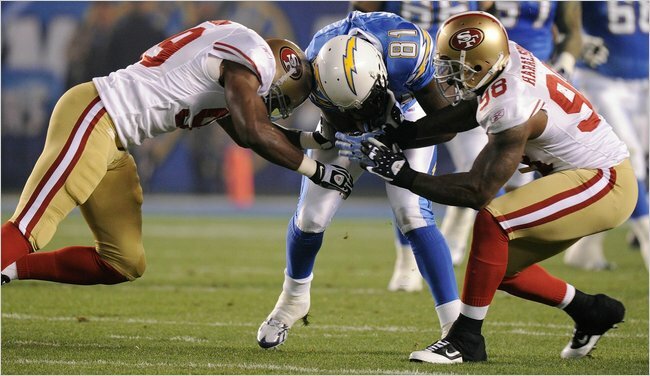 If the NFL wants to set the example, they can start by having their own defenders wrap up and drive with their head up, facing the target throughout contact. Because we all know, you can't tackle what you can't see. Here's an example of what not to do (because it could lead to this, as well as serious injuries). Here are two examples of what to do. Keep your heads up, kids.